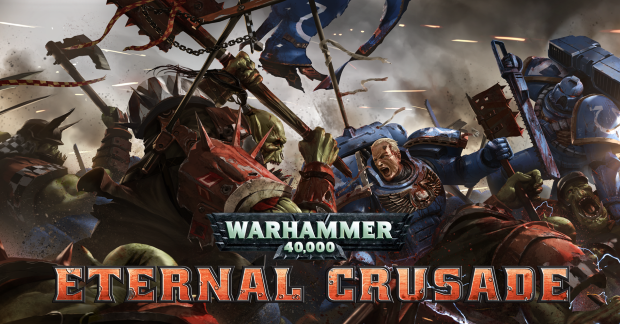 Today, Behaviour Interactive announces a new Pioneer Pack for their upcoming Warhammer 40K MMO, Eternal Crusade. This pack, dubbed the “Free to WAAAGH!” pack, will feature a host of enhancements to the free-to-play aspect of Eternal Crusade. In this game, free players join the battle as Ork Boyz, a design strategy intended to allow prospective players maximum entertainment for minimum investment. Pursuant to that aim, the “Free to WAAAGH!” pack offers an abundant array of features for the F2P experience at minimum expense to the player. With a price that’s only a quarter of the standard Pioneer Pack, which is immediately returned to the customer in the form of in-game currency in addition to its many other benefits, Behavior Interactive offers the package as a low-cost alternative for players who want to get their foot in the early access door. This is in keeping with the general philosophy espoused so far by the studio regarding their F2P experience: it’s an independent option for players who want to get into the game with a minimum personal investment, not a carefully prepared trap with an array of hidden costs and pay-gated features waiting to be sprung. Behaviour Interactive has gone to great lengths to demonstrate their regard for all of their fans, players and customers, not simply the most vocal or potentially lucrative among them. In a recent interview with Mister Caron, he placed great and repeated emphasis on that fact: choosing to suit up as one of the Ork Boyz will be a unique and fully developed experience, in and of itself. Historically, the terms “F2P” and “P2W” (Pay to Win) have had an ugly habit of overlapping. A common trend, these days, is to advertise a game as free-to-play, only to lock new players behind walls of crippling limitations unless they shell out some extra cash on “optional” perks. Not so with Eternal Crusade, Behaviour Interactive says. While they’re not shy about hoping that free players will take an interest in the rest of the game, their stated goal is to entice them with a superior gameplay experience that’s simply too fun to put down. In this, the studio hopes to show their commitment to their “fans first” philosophy. This philosophy appears to be the driving force behind a great many of the team’s decisions. Eternal Crusade is not the first MMO in recent history to build itself on the name of a great franchise that came before it, but it may be one of the projects most dedicated to the concept. The game’s head writer, for example, is none other than Graham McNeill, a name many devoted Warhammer 40K fans will recognize as the New York Times bestselling author who’s been penning 40K novels for over a decade. Touches like this run throughout the project, marking it as an uncommonly earnest, high-fidelity recreation of the source material from which it draws. 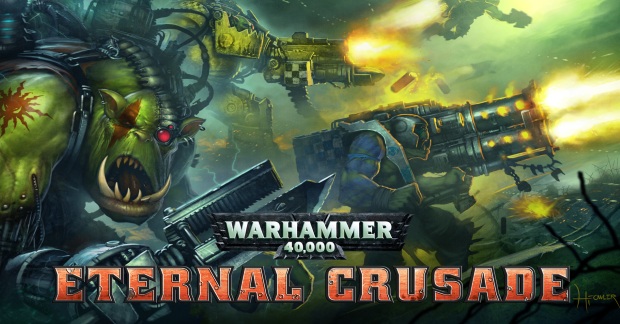 More than an IP cash-in, Eternal Crusade promises itself to be a love letter to 40K enthusiasts old and new. Before we depart from the topic of uncommon earnestness, though, special mention must be made of Behaviour Interactive’s above-and-beyond standards of integrity and transparency in their public relations. In addition to promising a complete absence of any pay-to-win features in their game, Behaviour has reduced their in-game store pricing twice in three months based on player feedback. They have repeatedly taken direction from player cues in the design of their game and continue to do so. The developers’ open welcoming of such feedback has actually grown problematic at times over the game’s history, but those in charge refuse to close their doors. In the past, Eternal Crusade has been criticized for appearing to be a shoddy product. As an example, critics have long argued that the game’s visuals are primitive and unpolished. These primitive and unpolished visuals were the result of Behaviour Interactive’s decision to show their game at a much earlier stage of development than the average studio is willing or even able to. While this is, by itself, only a minor example of the company’s philosophy at work, it is indicative of a kind of honesty about one’s product that the industry sorely needs. 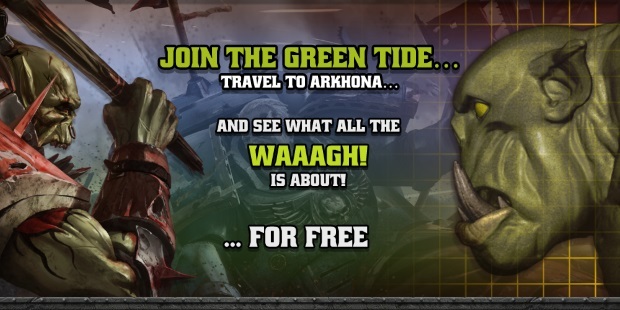 To bring it all back home, the “Free to WAAAGH!” update is shaping up to be another bold move for an already bold game. Investors, large and small, can expect to take part in an epic project which they can help take shape. Check out the official details of the free to play offering here. Nexon today announced a new update for Legion of Heroes, adding Chapter 4 of the game's story plus new heroes and more.